I’ve always wanted to attend an SM concert. I missed SS2 last year so I’ve decided to attend it this year instead. 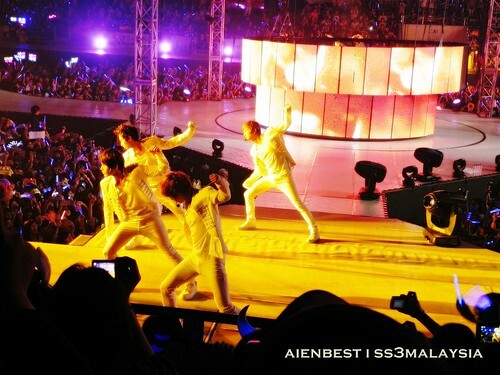 I’m not really a huge suju fan but they were the first idols that I really fell into. They introduced me to SNSD so they’re kinda important to me in a way. lol. We arrived about 3 hours early and find that there were already crowds around the stadium entrance. It was slightly raining that day so it calms the fangirls a bit. I was carrying a backpack, filled with water bottles and a camera. Though they forbid us from bringing cameras I refuse to obey the rules anyway. lol. There were many people handing out suju banners, and though I didn’t even understand what was written on it, I took them all. There were vendors selling food, T-Shirts and SJ souveniers. But the one who benefited the most was the disposable raincoat seller. I got ripped off by buying one for RM5. Like seriously, five ringgit for plastic? But I bought one and wore it over my SPAO shirt and backpack. The gate opened and the audience quickly filled the stadium. RELA was there controlling the crowd and checking the bags. I got passed them successfully. haha. We bought the terrace seats and it was a great decision. The view was clear and the boys were only meters away from us. 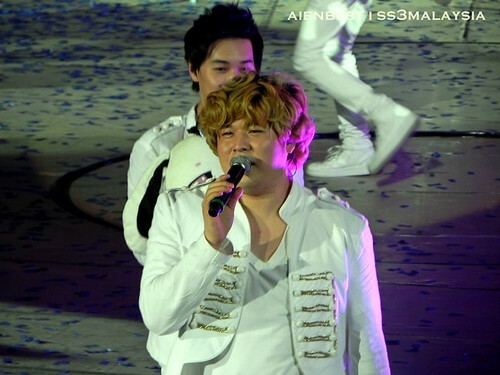 It’s my second time seeing Shindong. 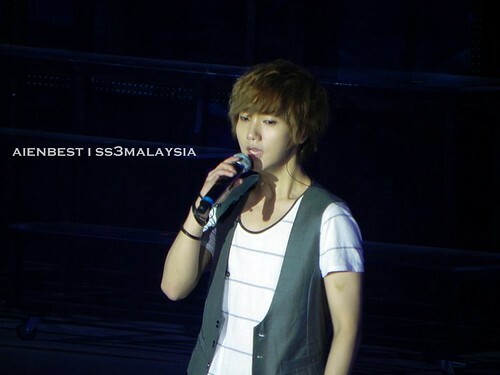 I did stalked him and Kangin at KLIA in 2008 when they came for the MTV Asia Awards. 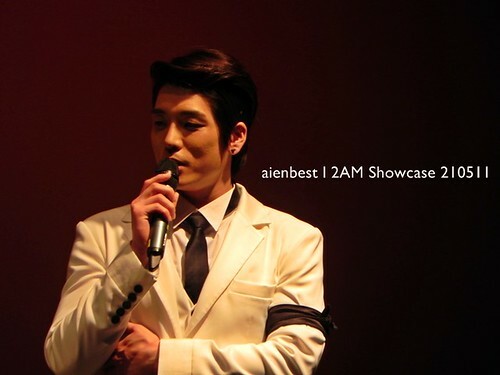 He looked erm..healthy? lol. It’s just the hair. Why the hair like that?! 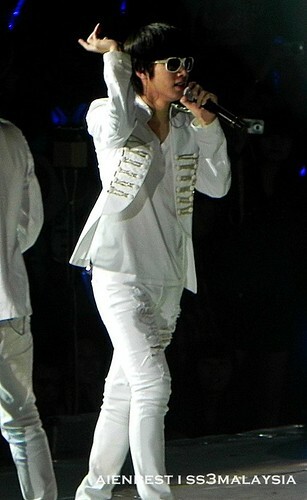 I had a huge crush on Heechul a while back and yeah I was excited seeing him in person. But unfortunately he was a bit sick and wore his shades the whole time. 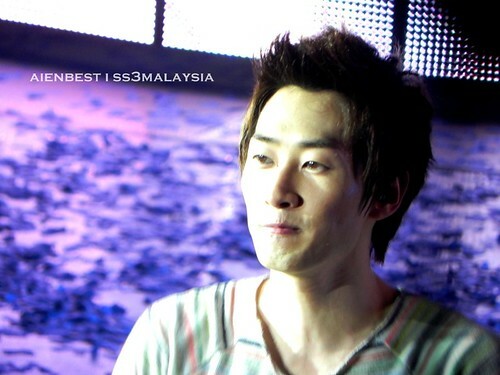 And I had a feeling that he was still a bit phobia with the crowd after the LED board incident. He’s beautiful nonetheless. 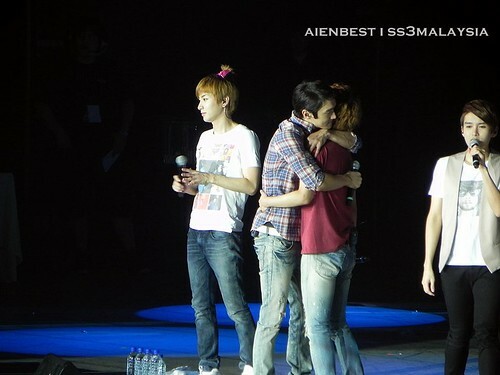 My biases are Heechul, Siwon, Donghae and Kyuhyun. But none of them liked to come to our side of the stage. 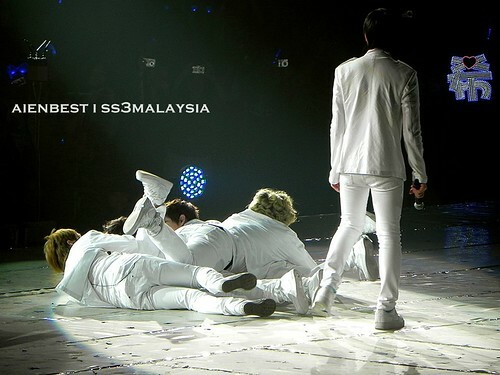 T.T Heechul kept disappearing and Siwon was busy entertaining VIPs. 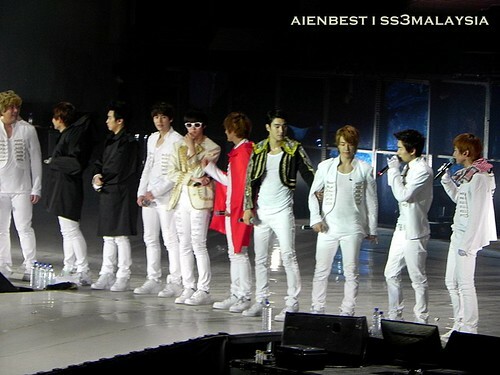 Hae was busy going to the opposite side. lol. 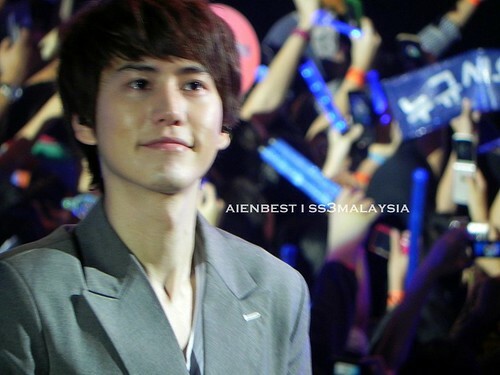 But Kyu did came now and then and smiled at us. So cute. 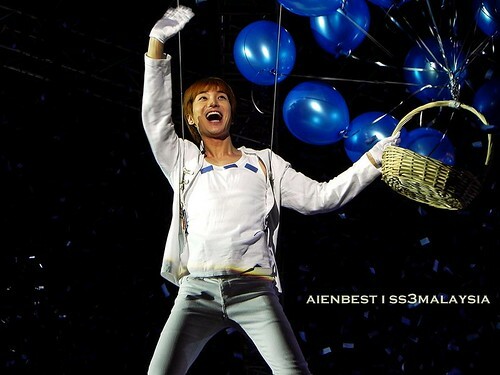 But my sis’s bias, Leeteuk came all the time. 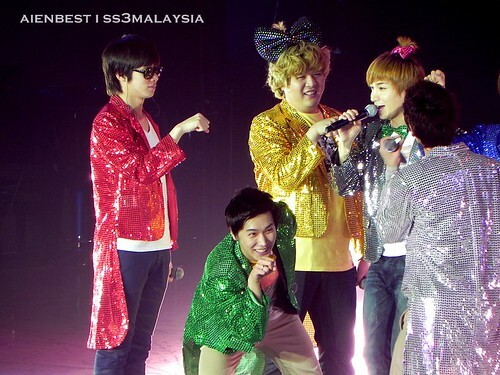 Him, Yesung, Sungmin, Eunhyuk and Shindong. 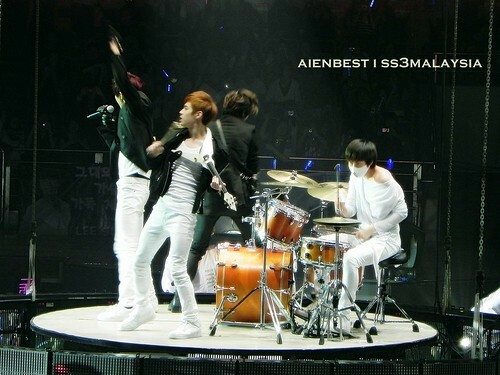 Heechul wants to join too..
Ryeowook solo and Sungmin on the guitar. 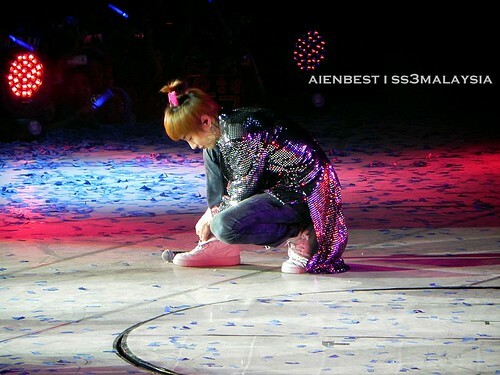 This time it’s Leeteuk tying his shoes! 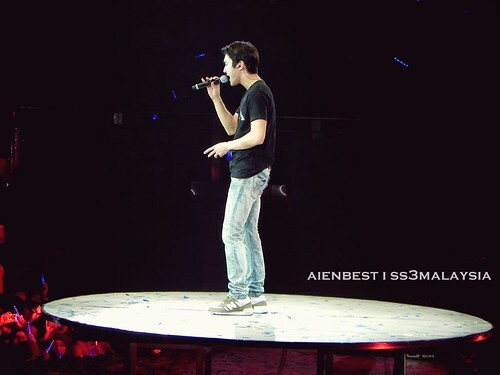 Siwon singing something gospel-ish. lol. “If I Can’t Have You..” it was perfect. Hate You, Love You. Ahh bring back the memories! In My Dream – My absolute fave song! The live version was perfect <33 I almost cried.lol. Overall the concert was great. The songlist, the breathtaking ballads, the solo parts, the fanservice, the dancing, the lighting and the special effects making the event perfect. It was over three hours but we were still can't get enough of them. 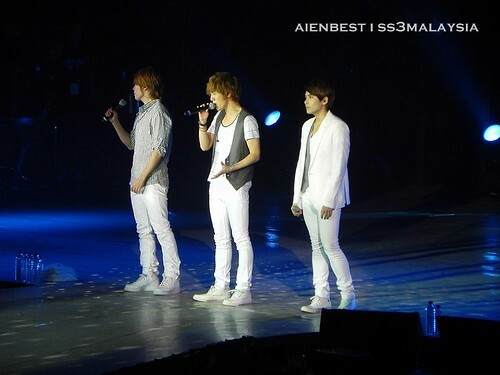 The boys were playful and friendly, making the concert more enjoyable than it already was. But I’m not sure I’ll be going though. 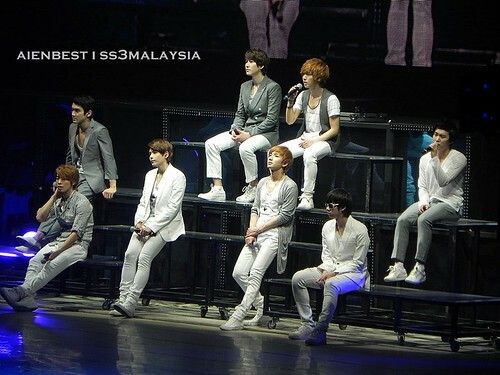 Check my photostream for more SS3 Malaysia photos! Me and my sis came early this time, or so we thought. When we reached Wisma MCA around 2:30pm, there were already people lining up. We join the line for Zone A and prepare to wait for hours. After waited for almost 2 and a half hours, we finally got in. I was worried about sneaking in the camera but it was done perfectly well. I did the water bottle trick again and managed to get pass the security without getting my bag checked. The hall, Dewan San Choon were quickly filled with people in just minutes. We managed to get a good spot next to a pakcik with his children. 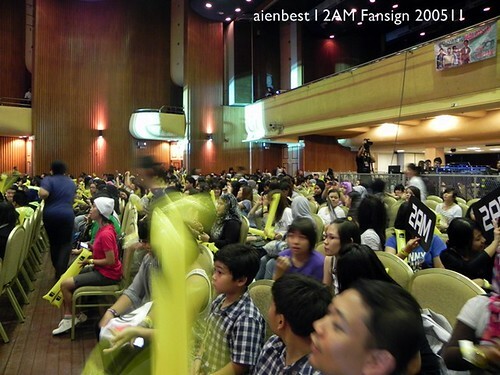 The audience were entertained with 2AM MVs and DiGi commercials before the show begin. Then the host, Jin from Hitz.fm came out and entertain the crowd. He did his job well, I should say. 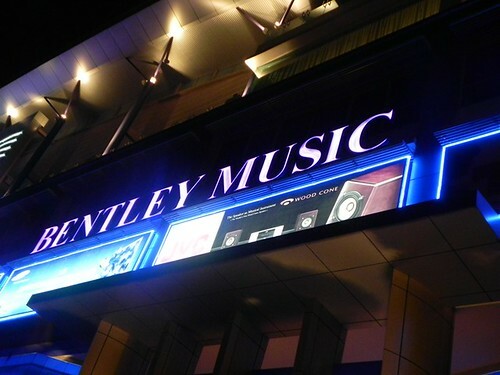 Before the concert begin, 4 students from Bentley Music gave out a performance, which was a instrumentals medley of 2AM songs. It was pretty cool, despite the fact that the speaker was deafening. The saxophone sound was too loud. But it was bearable. Then the boys came out and the crowd went crazy. 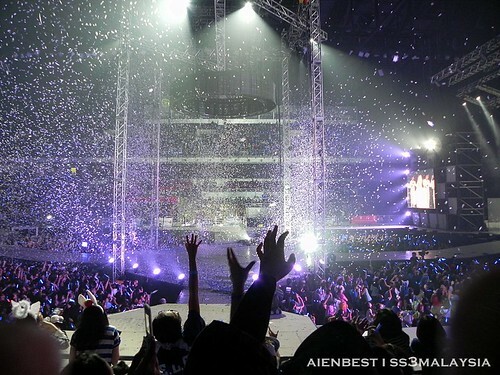 What amused me was that the fans who came are comprised of various types of people, not just a bunch of screaming fangirls like in SS3 or JYJ Showcase. For instance, the malay pakcik beside us were screaming the loudest. lol. There was a video played. The video tells how Jinwoon was feeling unsatisfied because he had no solo project like other members and that he never sang a chorus part of the song. He ranted and tried to write a rock song to create his own solo career. It was hilarious. The boys did a great job singing. It was so good I thought I was listening to the album. The boys had fun with their fans through games session on stage. 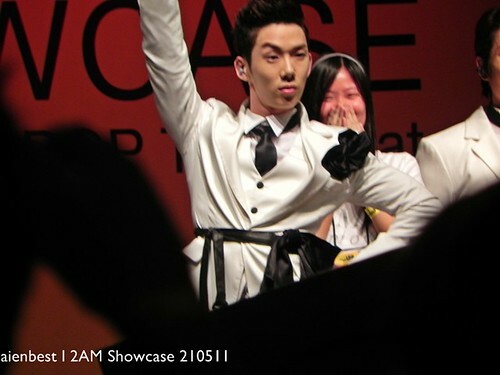 Jo Kwon showed his Kkap-ness. lol too precious. 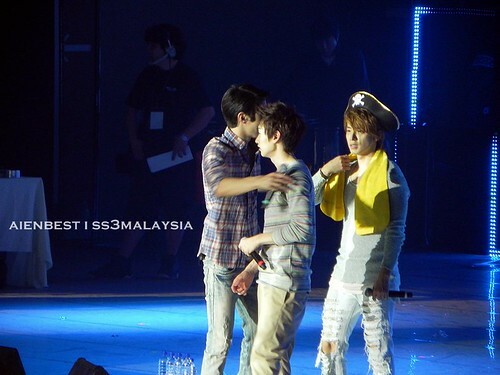 Kwon gave the best fanservice! You don’t mess with the Kkap. 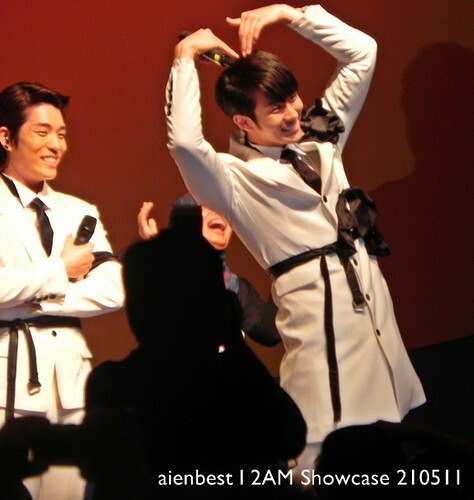 Yes, I love you too Seulong-shi. Then we sang them birthday song and gave them a Twin Tower cake. 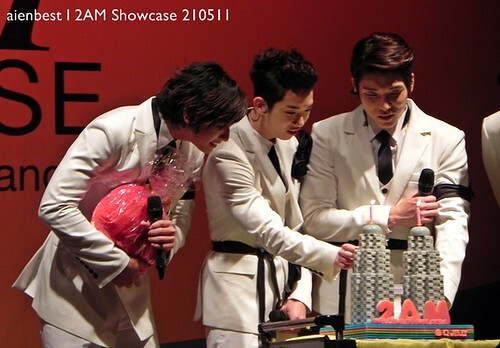 Changmin and Kwon looked so intrested with the cake. Changmin even tried to eat the plastic bridge! Then they sang an accapella of Sisqo’s Incomplete as a gift for fans. It was too beautiful for words. They sang ‘I Did Wrong’ and boy they really can’t dance. lol. And the pakcik beside my sister was dancing along to the robot-like dance and even stumping his feet while singing along. His kids were staring at him, probably shocked or embarrassed. I can’t imagine their pain. After singing ‘Like Crazy’ they went backstage as if it’s over. A video played again, and this time it tells the story of how 2AM got together. Starting with Jo Kwon who trained for years, then he met the clumsy Seulong, the mischievous maknae Jinwoon and lastly the fresh from military Changmin. Then they returned with an encore of ‘This Song’. You’re looking at me, handsome? 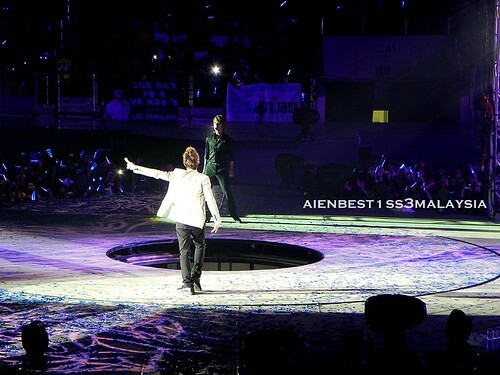 “Whenever you call us, we’ll come again.” – Changmin. We drive home, in the rain and stuck in the traffic jam, but happy and satisfied. I’m gave the props to UMM and Digi (esp Digi) for organizing such a great showcase. They gave us drinks while waiting in line, and those yellow balloons to cheer.lol. I regret missing the last Cube concert (Digi Kpop Concert), but surely won’t miss it any more in the future. 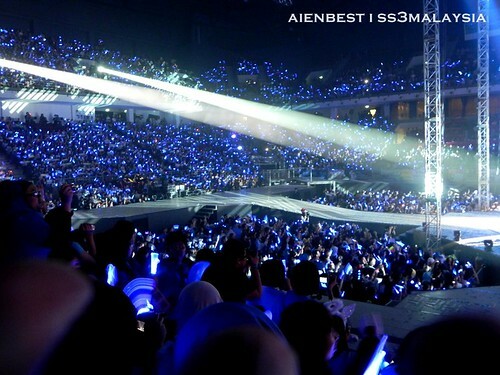 And please bring SNSD next time and make Malaysian Sones really happy. 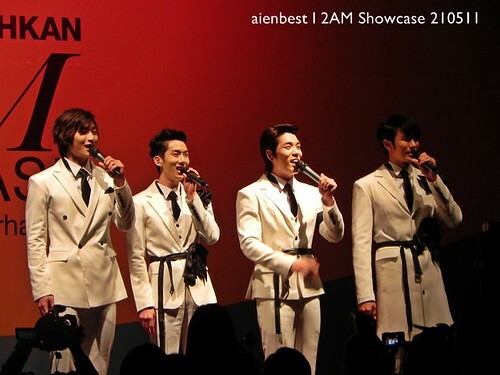 Check my flickr photostream for more pics of 2AM! All the pics were taken by my sister. I was too busy screaming. lol. I went there with my sis and arrived there late and the fansigning was almost finished. The securities forbid us from entering even though we have legit tickets. I was very disappointed and whined by the door. Lol. Luckily there was a nice female Digi staff that helped us to get numbers and eventually into the line. 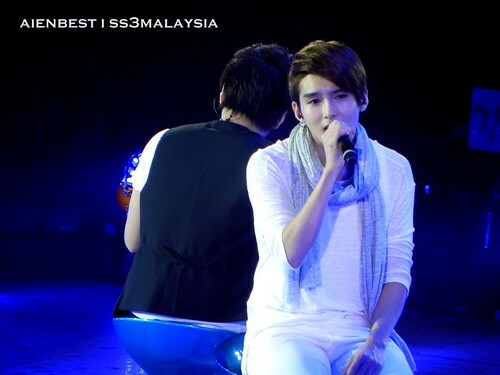 The first was changmin. And i asked him to write my name and spelled it for him. A.I.N but he looked clueless but adorable. 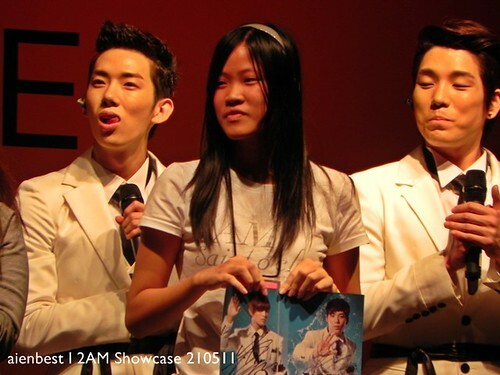 And he didn’t write my name..
Then I was dragged to the next person, Jo Kwon. I don't know why but I felt comfortable with him. 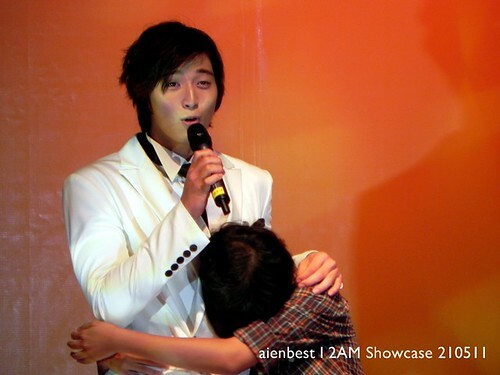 The next one was Jinwoon. Aka my favourite. I think I fell in love with his eye smile. 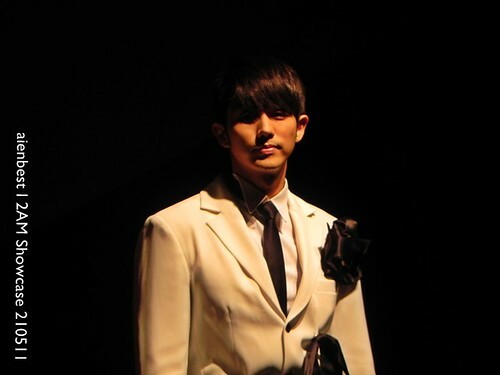 The last one was Seulong. Aka my second favourite. His hand was sooo near to mine! Me: Can I shake your hand? It was an unforgettable experience for me since it was my first fansign. 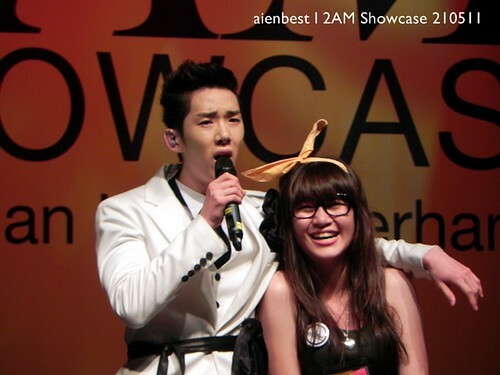 But it amazed me how friendly 2AM were even though they were tired. We waited by their van at the entrance just to get trolled by the security. Lol. 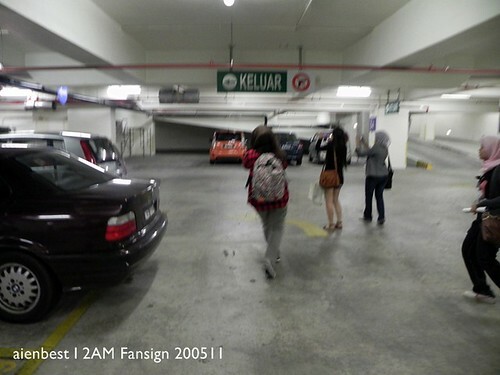 Luckily we overheard that the boys were at the parking lot, B2 and hurriedly went there with a group of fangirls. They were all just leaving, all crammed in one white van. I saw Seulong who was sitting by the window, and he was smiling and waving at us. Jo Kwon who was sitting in the middle turned around to wave to us as the van leaves. something kinda stupid but fun. chasing idols. 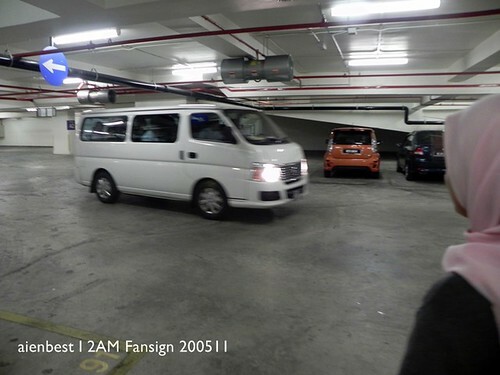 lol, at least my car was photographed with their van. The orange Myvi is my car. 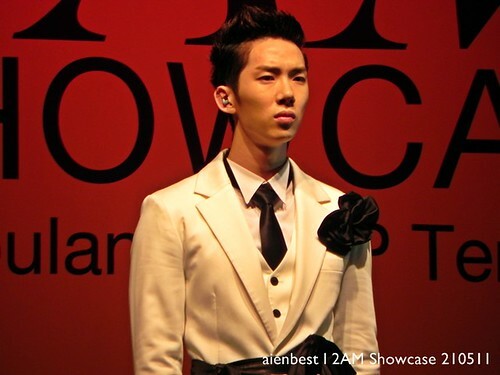 1 – Jo Kwon looked manlier in real life. 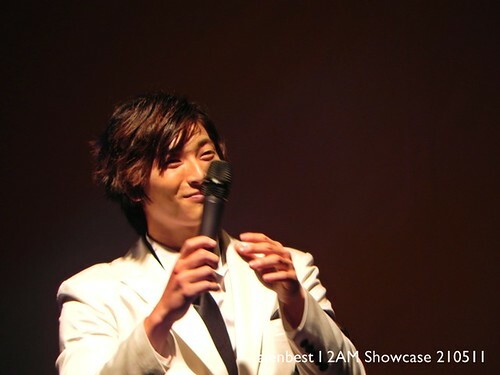 2 – Jinwoon eye smile can really melt hearts. 3 – 2AM are friendly. Can’t wait for the showcase tomorrow.